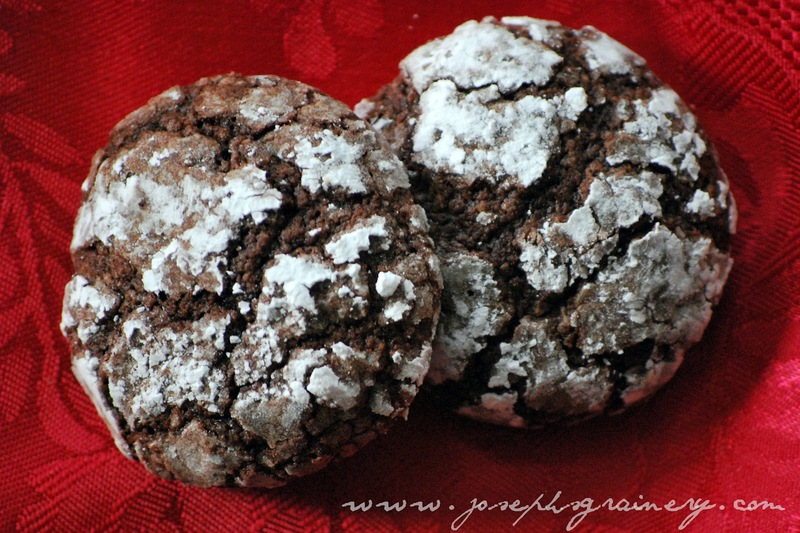 If you like chocolate just even a little bit, you're going to love these cookies. They were all gone in a flash at our house. MaMa did it again, making a halfway healthy cookie that's absolutely devine, plus they look really pretty too! A fluffy, yet gooey chocolate cookie you're sure to love. Preheat your oven to 350 degrees. In the bowl of your mixer combine the margarine, cookie mix and sugars until the mixture resembles fine crumbs. Add the remaining ingredients and mix on low speed until the dough is fully mixed and started to come together. Shape the cookie dough into 1 inch balls (we use our mini ice cream scoop) and place on a greased cookie sheet. Bake for 7 to 9 minutes. Now don't eat too many in one sitting like I did!